I had my first child, my daughter, by unexpected cesarean in 2011. Her birth led me to change my photography business from weddings/portraits to solely birth photography. It's been 5 years and I've attended nearly 100 births. I've stopped wandering because I found what I love and I'm no longer lost - I'm just happy! In those 100 births I've learned a lot of lessons and I've spent a lot of time, energy and money - learning how to grow and perfect my craft. I'm a published and internationally renowned birth photographer! I also train new birth photographers because I want anyone who steps into the birth space to honor and respect the space, to be safe, and to also take great photos. Aside from my busy birth business, I'm the Co-Founder of Birth Becomes Her. Birth Becomes Her was started because my BFF, Monet Nicole and I, wanted to give birth photographers a place to be published. 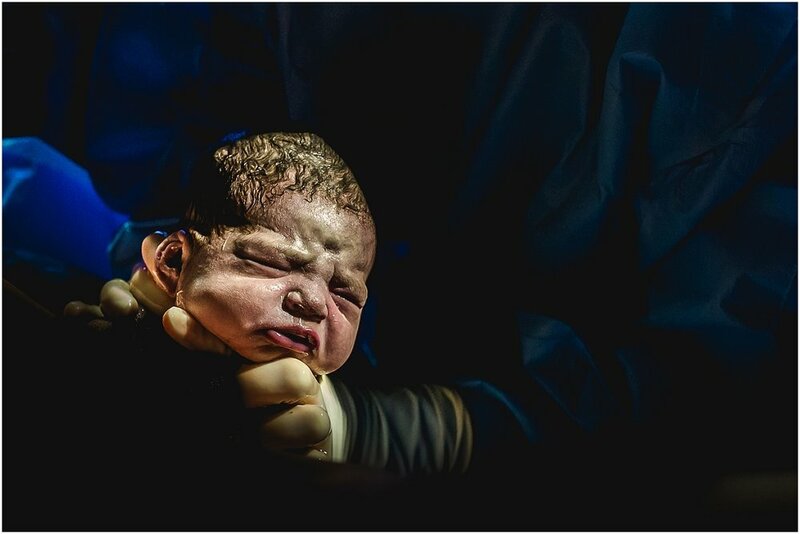 Since our founding, in 2014, we've created multiple tools that help birth photographers do their jobs and we have published birth stories from around the world! We created the FIRST Certification Program for birth photography along with nurses, doctors, midwives, and other birth leaders. Basically, I just love birth. This is what I do! When I step into your birth space, I'm a part of your team. I'm there to support you, in whatever way you need, however your birth unfolds. I'm grateful to be a part of the day you meet your newest love of your life. You'll remember this day forever. As an Ann Arbor birth photographer, I want to make your birth special. You will treasure your birth photos and video forever. Your children will look at these pictures and they will see your strength and love you had for them the instant they came into the world. My children love looking at theirs, and you will too. 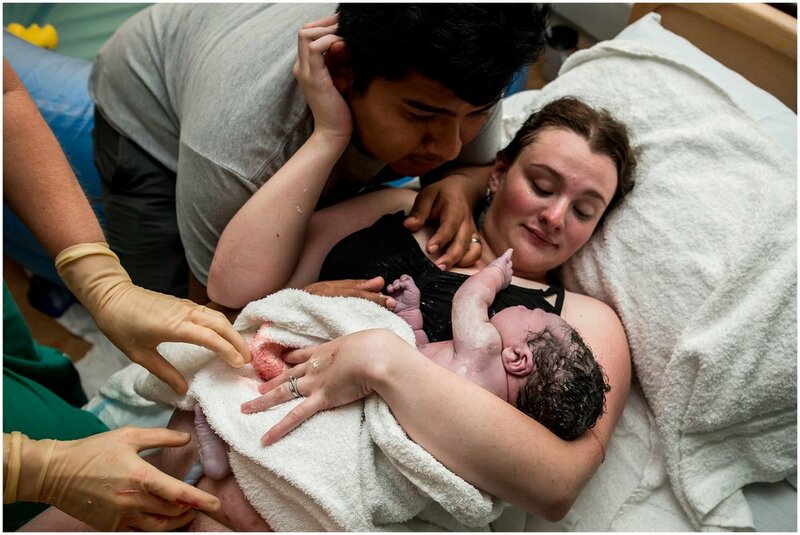 As an Ann Arbor, Jackson, and Detroit birth photographer, I offer birth stories 2-3 times per month, 9 months out of the year. Each of my birth stories come with a mini maternity or postpartum session that is done in my Chelsea, Michigan location. I photograph maternity sessions in the gorgeous backdrop of the Waterloo Rec Area that is my back yard, and postpartum sessions in my studio or gorgeous outdoor location at my house. I have packages available for bundling birth stories and videography - and I'm nearly booked for the remainder of 2018! If you are interested, or just want to learn more, reach out today! Take a minute to view some of my work and see the other joyous, connected, free-spirited, and loving families who have had home births, birth center births, hospital births, and cesarean births. Each birth is unique and each family that I work with has their own journey. 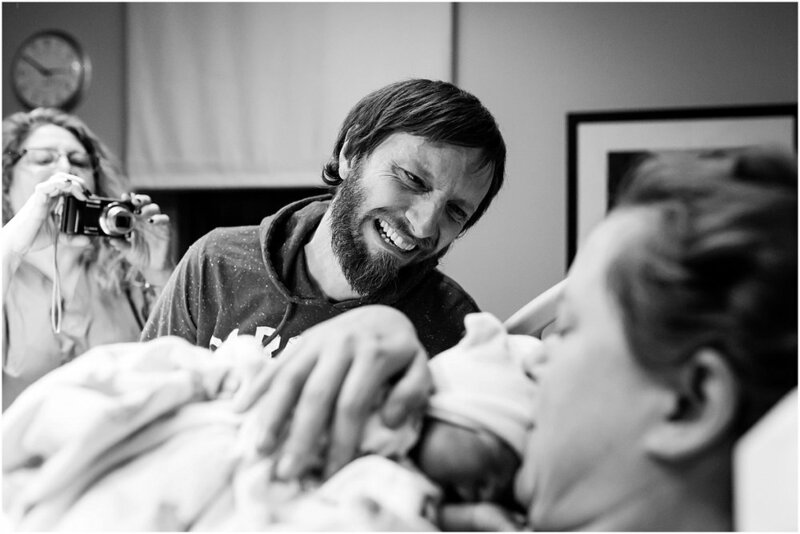 This Ann Arbor birth photographer is excited to document your birth story. Baby boy #2, born at home, really - really, fast. Baby #3, three generations, another really fast birth. This first time mom rocked her natural hospital birth. This Jackson Michigan mom had a wonderfully supported birth at Henry Ford Allegiance Hospital. This mom and her daughter climbed into an herbal bath together after mom left her baby shower at 37 weeks to deliver. This birth happened so fast, big sister went to the hospital and watched her sister being born! Sometimes it's the details of birth that are the most intriguing. The cord, the wrinkled feet, the strength in that belly that grew him. This is the moment, the moment your child emerges. It's beautiful and I love to capture it artfully for you. This mom was there to hold her daughter when things got tough. This couple was so connected during their birth, it was like seeing all of the love and respect they have for each other, rolled into one moment. This mom and dad were high school sweet hearts, he announced their birth by sharing a birth photo and saying how incredible, beautiful and amazing his wife is. What a wonderful partner to share life with. This midwife's assistant held this laboring mom, because that's what she needed in this moment. These two worked together seamlessly to bring their first daughter into the world. It was incredible to watch. I am one of the first photographers to use an underwater housing to capture the incredible moments of moms in the water. 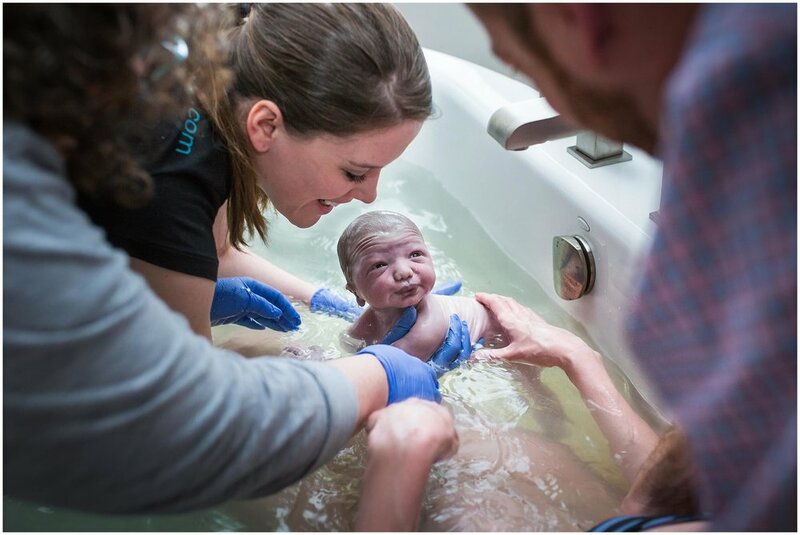 Whether it is moment of birth or those sweet post partum herbal baths, these images are a whole new level of artistry. Being held by daddy for the first time. They were still, they knew that they were meant to be together. Her cord was one of the most beautiful cords that I've ever seen. I couldn't stop staring and taking pictures, it pulsed for a long time after baby was born. How incredible! This mom and dad caught their own baby in the tub, under the watchful eye of midwife Shari. The birth pause, she might have been holding him, but they stopped and connected on a deeper level in this gaze. It was incredible. She smiled down at her fuzzy baby boy, her husband had just came home early from working out of state, and we were so happy he was able to attend the birth. VBA2C, this mom and I became friends after our first births which both ended in cesarean. She finally got her vaginal birth! Dad was so happy! He came out, instantly connected, searching for his mother. Their eyes locked, it was magic. Remember, gorgeous maternity sessions are included in your investment. These are the moments you'll wish you captured in your life, and there is no better time than now to reach out. Ann Arbor birth photographer - it's never too late, reach out today and contact Jenn!